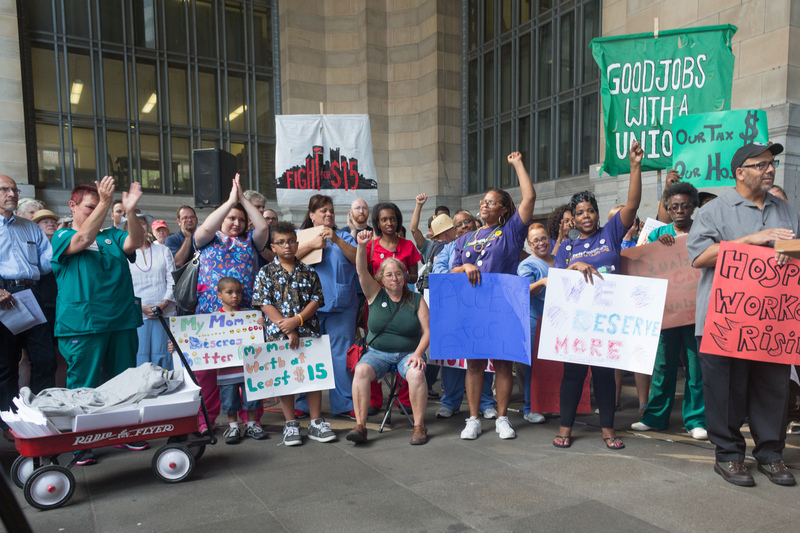 Hospital workers from every hospital in the city deliver their agenda to elected leaders. 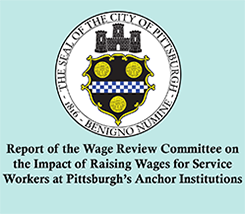 This week, we brought our call for $15 and a union to members of our City Council and the Mayor’s Office and presented city leaders with an agenda that will put Pittsburgh’s community needs first. 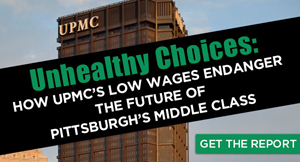 Join the movement for a stronger Pittsburgh where every hospital job is a good job, and read more about our conversation with the Post-Gazette. Hospital workers are the largest workforce in our city, working for the largest, most influential industry. We’re going to make changes here like they are in cities from Los Angeles to New York, where workers and elected leaders are lifting up their communities. Together, we can make sure every hospital job is a good job and patients get the quality, affordable care they need. 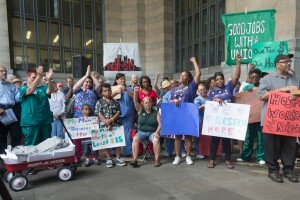 Sign on to the Hospital Workers Rising agenda for good jobs, quality care and healthy, stronger communities! And like us on Facebook for the latest updates on how we can strengthen our hospitals and our city together.